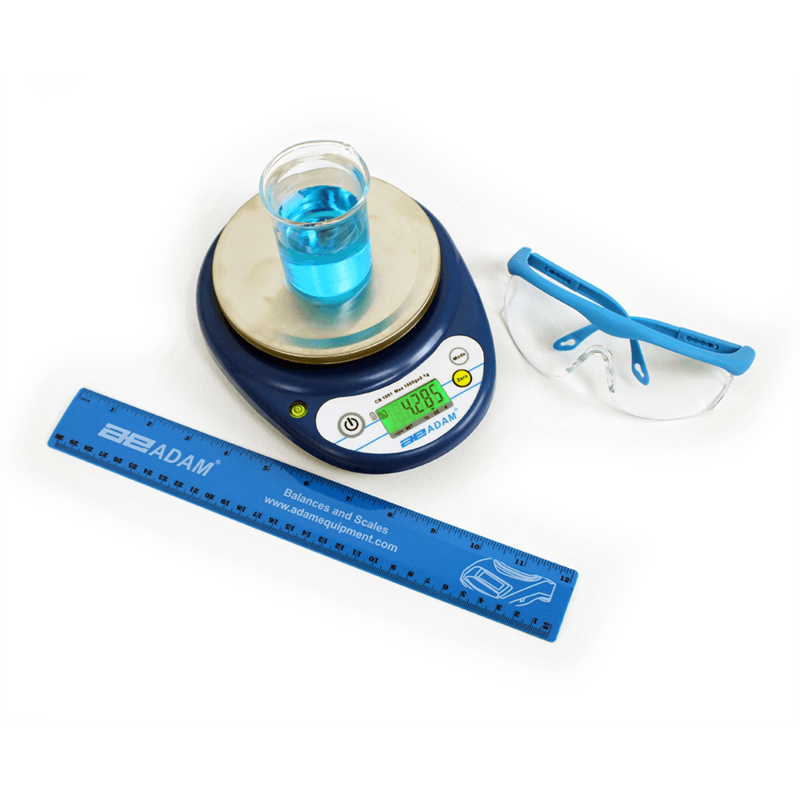 Learning about mass measurement in school science labs is easy with Adam Equipment's affordable science scales and reliable classroom balances. The scales and balances in this section offer high performance at a fraction of the cost of other scales and balances on the market. Our products are designed with teachers and students in mind with protective, easy-to-clean keypads, simple operation and durable construction for handling rigorous use and accidental damage. Our education scales and balances offer a wide range of weighing functions, security features, portable options, and easy operation. Below, we recommend the products we consider most suitable for different education levels based on the ease of use, the level of precision, and functionality required. Weighing scales and balances for students in grades 1-3. The scales in this section are highly affordable and particularly hard-wearing, they can be easily stacked and stored away after use in classroom cupboards and prep rooms. These scales are perfect for introducing students to concepts of mass measurement. Our selection of weighing scales and balances designed for students in grades 4-6. Adam's highly-popular triple beam balance is frequently used by students for completing a range of mass measurement experiments including egg osmosis and Archimedes' density experiments. Our entry-level weighing scales for junior high school students. These scales and balances are perfect for school classroom environments with certain models offering the ability to be stacked in storage for added security and convenience. Highland and Core balances are frequently used in soil chemistry experiments for detemining the density of sand, rocks and minerals and their impact on weathering and soil erosion. Adam Equipment's selection of scales and balances for high school education. Our Highland and Core balances are frequently used in school science labs for a variety of curriculum-based experiments including Hess' Law and steel wool burning experiments. Adam scales and balances for use in colleges and higher education. College-level balances are frequently used for conducting chemical reaction experiments in chemistry classes. Nimbus and Highland precision balances can be used to demonstrate the use of the ideal Gas Law, Daltons’ Law of Partial Pressures, and the Kinetic Theory of Gases by measuring pressure, volume and temperature, and using the ideal gas equation to calculate the amount of gas (moles). Our range of precision and analytcial balances come equipped with a variety of different weighing functions, including percentage weighing used for the precise measuring of chemicals and solutions in university-level science experiments. Several of our balances have the ability to perform density determination for analysis of liquids and solids. Ideal for advanced science education, AP chemistry and university science labs; they provide the precision and connectivity to transmit, analyze and store weighing results. Adam Equipment supports teachers and learning by offering a variety of teacher resources, including downloadable hands-on mass experiments for use in classrooms. Please see our education resources page to find out more.